Saw this pink flamingo slowly dying on the street this morning. Wonder if someone is missing it? You have to pay attention because, if you don’t, you will miss the best things. My mind has been parsing the notion of loss lately. I’m not talking only about losing a person or pet to disease or losing my children as they grow and become their own people, although these two particular losses have been weighing heavily on my heart recently. I’m also talking about losing things like my hair or the bottle of peppermint oil I had in my hand a minute ago or the astounding piece of wisdom I was about to share but which vaporized before I could pry it from my brain. I seem to be losing everything these days. When the universe persists in presenting me with opportunities for growth, eventually I catch on to the pattern. And the current rate at which I have been facing loss has given rise to non-stop mulling about the loss and what loss even is and where it comes from and how I can best deal with it in the moment and how to survive it long-term and what I can learn from it to help me along my path. Searching for meaning is what I do as a double Gemini. Buddhism teaches that suffering is a constant condition of the human experience, and our inability to deal with all types of suffering (from physical pain to the pain of persistent change to the pervasive conditioning that finds us repeating the same negative behaviors from which we need to escape) keeps us from experiencing true happiness. If you are born, you will suffer and you will die. It’s how we choose to approach suffering that determines the quality of life before we leave. Loss is painful because we have a misguided notion we have some right to claim ownership. We don’t. We don’t own our bodies, we occupy them. We can’t keep them from aging or changing. We may be able to lessen the visible effects of our unhealthy behaviors and the constant pull of gravity and genetics, but we cannot stop our march towards death or the visible proof of that continual process. We don’t own others. They too have a timeline and will move through this life on their own path. Our inability to accept that life is transitory and that the people in our lives are as impermanent as we are creates a path to misery because loss of life is unavoidable. In the poignant words of Walter White, “Every life comes with a death sentence.” We don’t even own items we own. A burglar can take my computer. An auto accident can wreck my car. A fire can incinerate my home and everything inside it. And there is very little I can do about any of it, really. This morning I looked out my bedroom window into the park-like backyard I am fortunate enough to enjoy. There were finches and nuthatches clinging to the feeder. Squirrels chasing each other around the tree trunk. A mouse scurrying away with a fallen bit of feed corn. A small bunny gnawing a dandelion. This is not the same bunny that inhabited our yard before (I will never forget you, wherever you are, Wobble Bunny), yet our yard still has a bunny. The dead squirrel we found last week has been replaced by another squirrel happy to stake his claim. The players are different but the play is the same. This, in a nutshell, is life. Loss is certain. Change is inexorable. Pain is compulsory. How we approach and what we take from these guarantees is a choice. My children are almost grown, and I can wallow in sadness about their impending departure or I can appreciate them now. People I love will move on. My hair will get thinner. Items I have lost may show up eventually or they may not. But squandering time perseverating about the loss of people or belongings I could never stake claim to in the first place is useless. I am going to practice appreciating life and its players now. So, I am going to close up my computer, drag my sons out of their basement cave, and take them outside to appreciate the carousel of revolving life in our yard because the only loss I can avoid is a wasted opportunity to own the fullness of this moment just as it is. I am supposed to be training for our Inca Trail hike in July, but this week the spring weather has been wholly uncooperative. 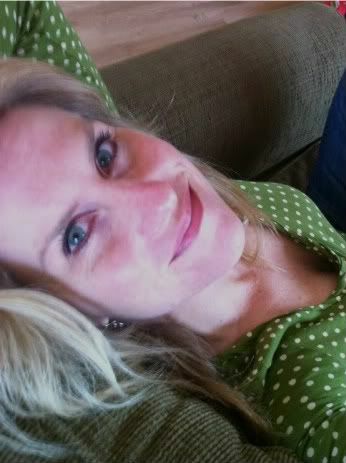 Monday and Tuesday were very windy, which left me indoors to practice yoga and put time in on the spin bike. I considered that better than nothing, although it was not what I was hoping for. This morning, though, I looked out and noticed it was sunny and fairly calm. I thought the weather might be handing me a small break. I would take it. 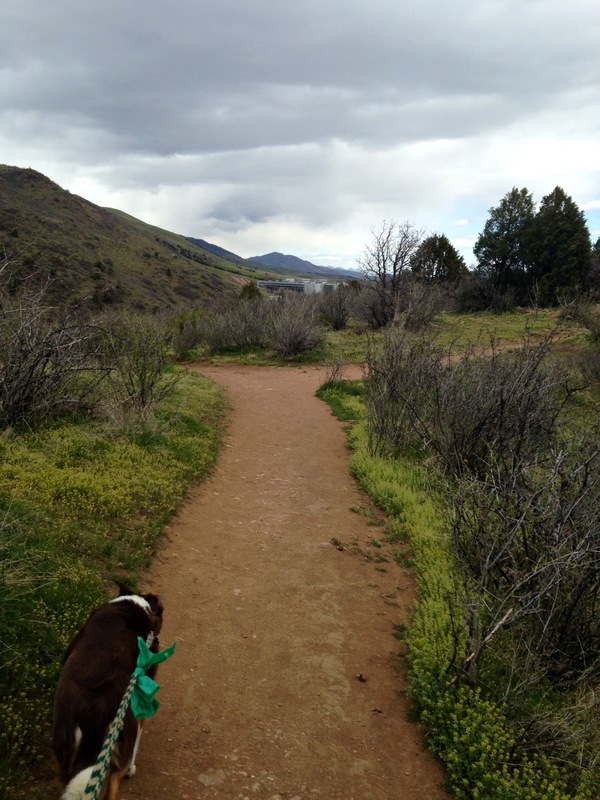 By the time I had dropped the boys at school, loaded my pack and the dog in the car, and made my way to the trailhead parking lot, I began rethinking my decision. The skies were darkening, and the car thermometer registered all of 50 degrees. While pulling my pack from the trunk, I noticed the winds were picking up. I hate wind. I reached for my GPS-enabled sports watch only to discover it was low on battery. Of course. I would not be tracking today’s workout. I had also forgotten my headphones. Seriously? It was starting to feel like I should just turn around and find a warm yoga studio instead. I decided to soldier on and in the end I was glad I did. While the weather wasn’t perfect, it was a great day to be on the trail. It was mostly empty and I was able to enjoy my own private hike. Without my headphones, I was privy to every little sound. Movement in the underbrush uncovered a couple spotted towhees hopping through the crumbling leaves. Bees and hummingbirds whizzed by my head. The wind whistled heavily in several spots and yet I noticed other areas the wind completely missed. Several times along the way I confronted memories of my sons, paused with their backs to me, still as stone fountain boys peeing into the wind. It was a solitary, contemplative hike filled with sensory experiences. I was 100% in the present for an hour outdoors, and it was lovely. I would rather hop and see what happens than sit and worry about what might go wrong. Too often we imagine scenarios that keep us from doing something we could easily accomplish. We find reasons not to do something we determine might be unpleasant. We don’t give ourselves a chance to face the situation and see how it plays out. I’ve been ruminating on this thought lately. We have a choice. We can either make excuses or we can make progress. Sadly, it’s easier to make excuses than it is to risk vulnerability. And this is where we get stuck. It’s easy to let the clouds fool you into expecting rain when none is coming. I put myself out there today in a small way, and it paid off. Now if I could just convince my inner self to be brave enough to make progress on my book idea, then I’d really be getting somewhere. Baby bunny hops, I guess. I don’t patronize bunny rabbits. Late last week, my sister introduced me to a book I knew was a game changer. The minute I saw it I knew I needed a copy for myself because it fits right in there with two things that appeal to me…working towards my zen and coveting fuzzy things. (Yes. I know to be truly zen I would have to not covet things, even soft, fuzzy things, but this is why I said I am working towards my zen. I am not there yet, people.) The book is Bunny Buddhism by Krista Lester. It is an adorable tome filled with wisdom about life and illustrations of darling bunnies on the path to bunniness. As soon as I got the name of the book, I was one-clicking my way through Amazon to get it here as fast as humanly possible. (Yes. I know instant gratification also goes against my path to zen, but I can only make this journey one step at a time.) Today the book arrived, and I devoured 186 pages of bunny thoughtfulness, carefully marking statements that resonated with me. Fifty some Post-It tabs later, I realized I have a lot more travel ahead on the road to zen than I originally thought. Last week, a fellow blogger (and all around kind gal) commented that she missed my blog postings. She told me she was planning to write every day in April. I was tempted to join her on her journey, but ultimately decided that after all this time off I’d gotten too lazy to commit to a whole month. That seemed like an awful lot of work. 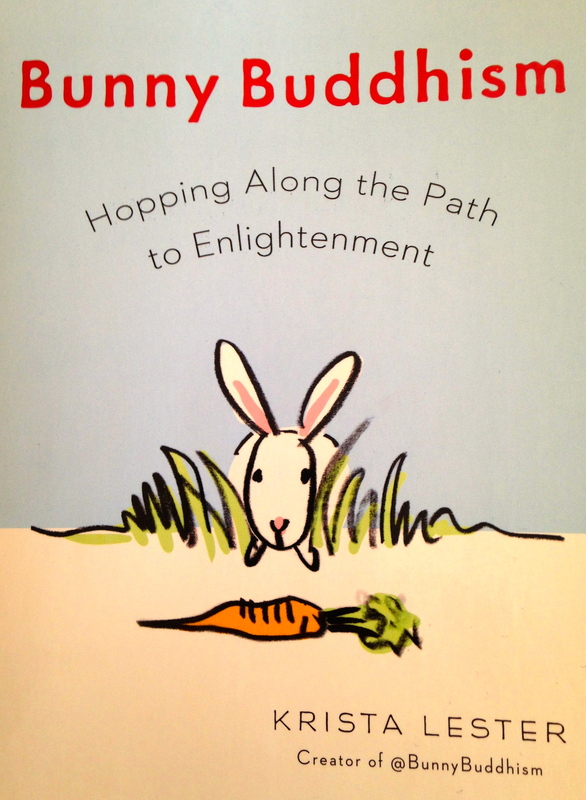 Then Bunny Buddhism arrived in my mailbox, and with it came my inspiration. And so for the next couple weeks, or until I am plumb bored with cute, fuzzy things or deep, life-changing wisdom, I am going to pick a thought from the book and blog a bit about it. Even a reliable bunny misses a hop sometimes; then the important thing becomes simply to return to hopping. That is what I am doing right now. I am returning to hopping by blogging again. Once I was a reliable writer, composing something every day for a full year, but I lost my way. I decided other things in my life were more pressing. I reasoned that because writing is not a paying gig for me, I had best focus on my primary job as wildlife manager (aka “mom to two sons”). I thought maybe all the time off blogging would give me more time to focus on writing a book. It didn’t. I found other ways to occupy my time when I put writing on the back burner. I rewatched all the seasons and every single episode of Breaking Bad, Mad Men, and LOST. I read way too many articles about our food system that scared the bejeezus out of me. I spent appalling amounts of time on Facebook. And through it all, the only thing I learned is that I am a first-class escape artist. But at the end of the day, no matter what I do or don’t do, the one thing I can’t avoid is the knowledge that I am a writer. I may not be a world-class writer or a published writer or even (gasp) a working writer, but I am a writer. It is what I do. Writing is as much a part of me as my blue-hazel eyes, my constellations of moles, and my stubby fingernails. Denying it doesn’t make it less true. It only takes me further away from my true self. My writing is not unlike my path to zen. I have a great deal to learn and a lot of room to grow. But I can’t make any progress by freaking out and freezing up when I miss a blog. Life will continue whether I write or not, but every day I skip writing I miss an opportunity to be my most authentic, wonderful, flawed, and yet-somehow-still-perfect self. And so I begin again. They say a journey of a thousand hops begins with a single hop, right?